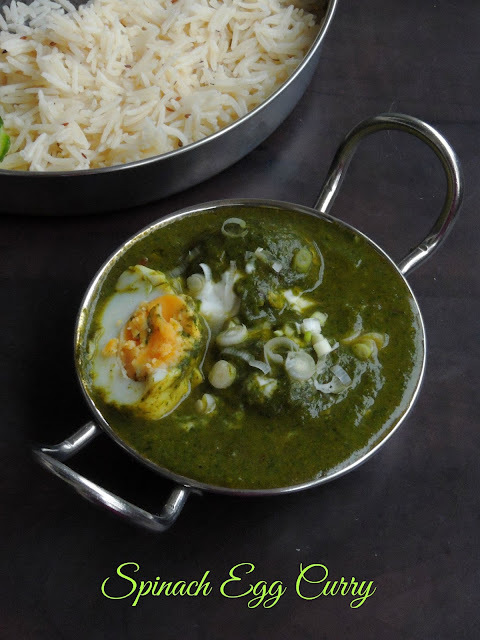 Anda means Egg, Palak means Spinach, hence Anda Palak curry, this greeny egg curry is one of the delicious curry i have tried recently for our Sunday lunch. Trust me who ever loves spinach and egg will definitely go crazy if they have this curry. Served along with plain rice or else with flavored pulavs, this curry makes a prefect pair to enjoy without any fuss. Though this curry makes an excellent accompaniment with rice, you still enjoy this curry with rotis very well. We all know very well that spinach is loaded with loads of nutrients,they are excellent source of Iron and Folic acid. Spinach is also a good source of Omega 3 fatty acids. While eggs are good source of proteins and vitamins as well, when these two ingredients gets cooked together this curry makes an excellent nutritious curry. 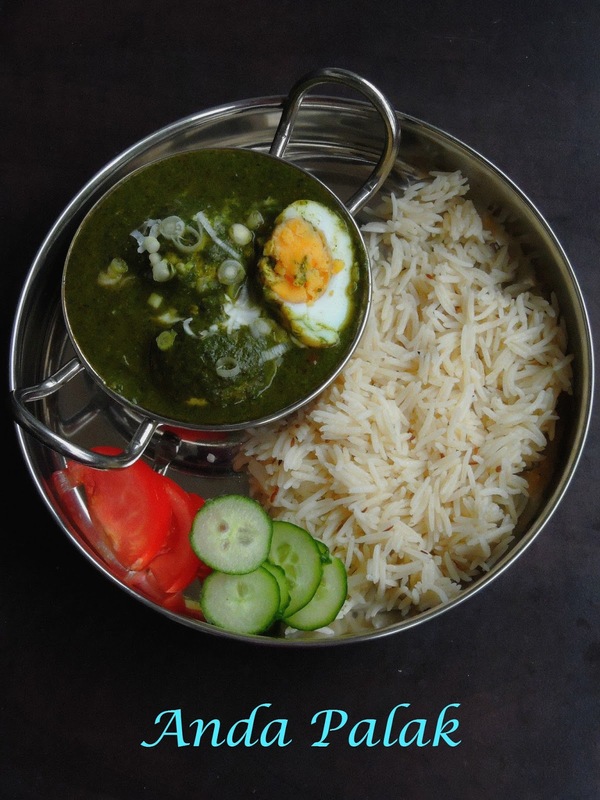 Coming to today's recipe, this anda palak will definitely please anyone's tastebuds when served along with simple rice. 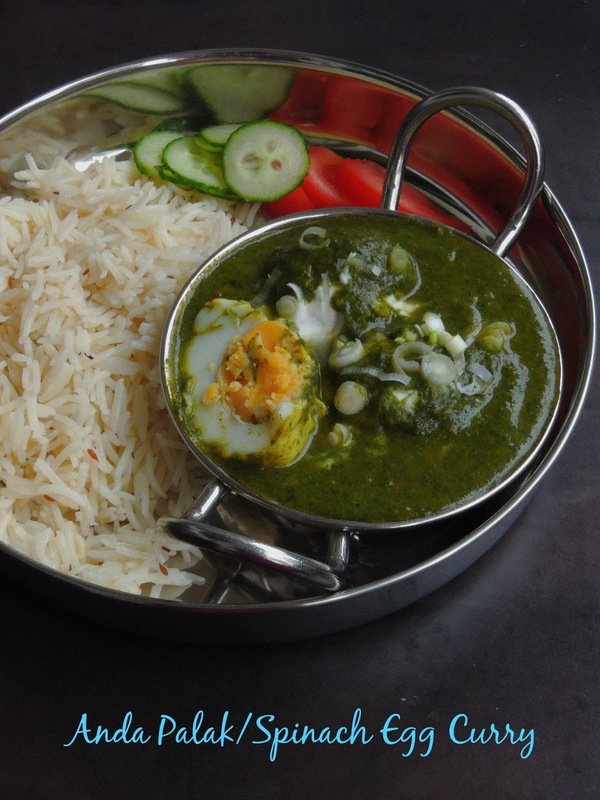 Am sure if you want to give a try to a different dish with spinach then do try this excellent spinach egg curry. If you are a vegetarian, just replace the eggs with paneer or else just with boiled potatoes. 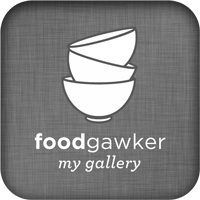 You have many vegetarian options to prepare this extremely nutritious gourmet gravy though my choice is boiled eggs. 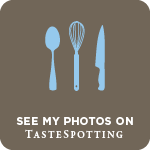 Am running this week's blogging marathon with Gourmet gravies as theme for this week, obviously this droolworthy, greeny gravy is going to this week's theme. Pressure cook spinach green, chopped onion, chopped tomato, chopped ginger and garlic cloves with half cup of water upto 3 hisses. Put off the stove, keep aside and let them cool, grind them as fine paste..
Heat oil in a pan, add the cumin seeds and let them crack. Now add the chopped tomatoes,sauté for a while until they turns mushy. Add the red chilly powder, coriander powder, gram flour,salt and garam masala powder. Fry them in simmer for a while,add the grounded spinach paste, bring them to boil. Finally add the boiled eggs,bring the gravy to boil and put off the stove.. Serve hot with chappathis, parathas or pulaos. Eggs with spinach is a great combination. I should try it someday. Bookmarked the recipe. Anda palak looks exotic and must have tasted great with rice. Never thought about egg and spinach ...thats a new combination..
Wow, this combo I never thought of mixing the two. Sounds great. I've never mixed spinach and egg. This sounds like a great combo. Will try soon. What a unique combo..must tell my egg eating friends..excellent. Wonderful side dish for rotis!